Before the release of their first album this March, Kamen Rider GIRLS, an idol group inspired by the Kamen Rider franchise, will be releasing their 5th single “Just the Beginning” this February. 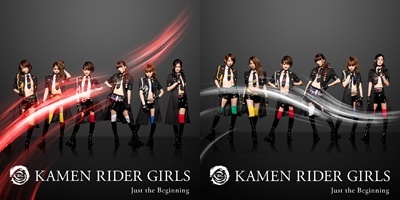 Kamen Rider GIRLS' “Just the Beginning” will be released on February 27th, and available in both CD+DVD and CD Regular Edition, for 1890 yen and 1260 yen respectively. Pre-Order now at CDJapan, and get exciting bonuses!